Pristine sugar white sands fringed by swaying palms, crystal clear lagoons and an exotic mix of cultures and cuisines, what’s there not to love about Mauritius? The exquisite island gem in the Indian Ocean offers year-round warm weather, friendly locals, thrilling activities and a +4 GMT time difference so this beautiful island can be enjoyed without feeling the effects of jet lag. Once experienced we know the charm of this spectacular island will create lasting memories. If you are looking to reward, thank or incentivise your staff or just discover a safe destination suitable for year-round travel, Mauritius is the ideal place. With fantastic hotels in stunning locations, an array of activities and water sports, incredible food, impeccable service and genuinely friendly people we can firmly say that this small island in the Indian Ocean has something for everyone. 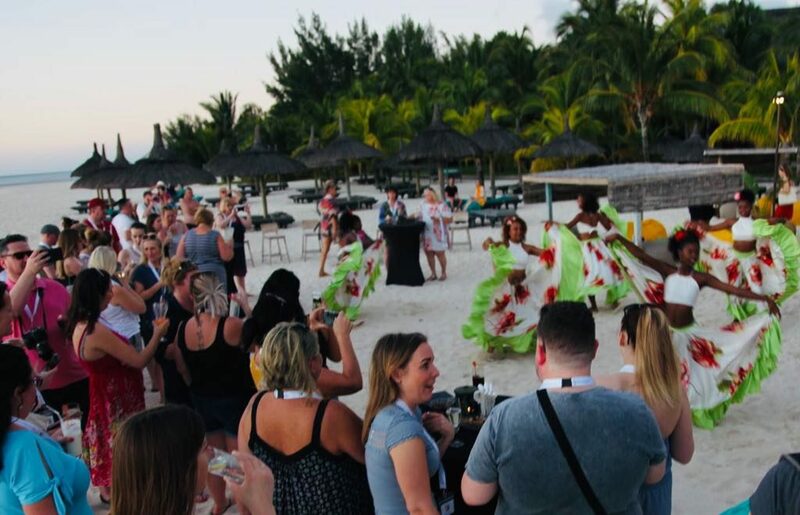 It is most definitely an ideal destination for tailormade, small group incentive travel whilst continuing to be a great choice as a holiday, wedding and honeymoon destination. We can help bring your employees together, incorporate business training and create unforgettable experiences. 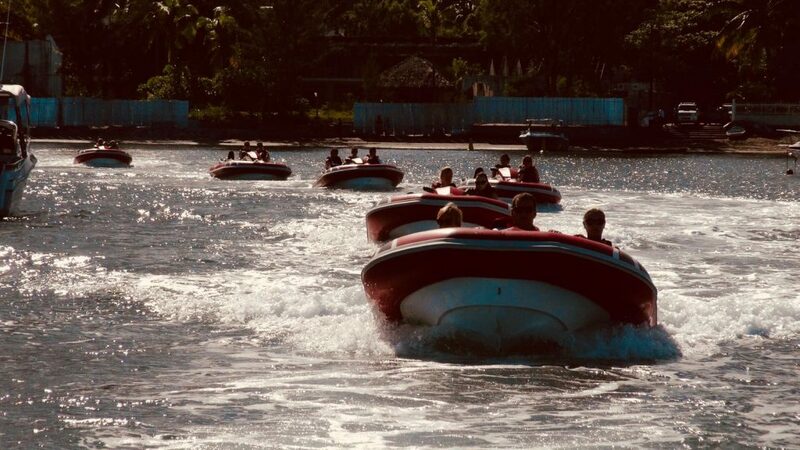 Our latest trip gave us first-hand experience of the opportunities available for group travel as we joined a group reward programme to experience a diverse range of cultural, wildlife, sporting and team building activities. If you are keen to plan a small group trip to Mauritius or want to learn more, please do get in touch. T: 01344 988620 E: create@luxurytravelstudio.com Mauritius is far more affordable than you might think and we only work with the best, trusted suppliers to ensure that each trip is one to remember. Mauritius is a golfer’s dream destination with an astonishingly high number of golf courses dotted across the island ideal for both amateurs and seasoned pros to enjoy. During our trip we tried and tested two championship courses on the island. With the stunning majestic Le Morne mountain as our backdrop we improved our golf technique with lessons at the superb 18-hole championship Paradis Golf course. Our skills were then tested on the island’s newest and only course on the north west coast, the Mont Choisy Le Golf course. 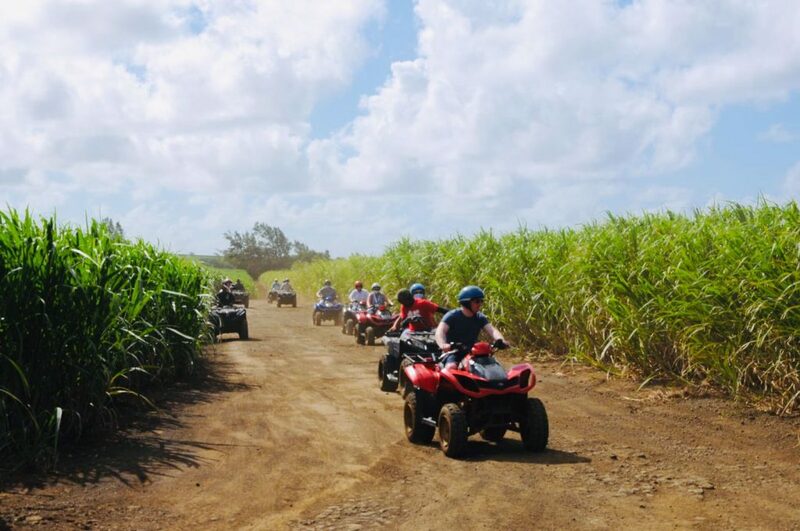 Whilst others choose to quad bike through picturesque sugar cane plantations and some took to the skies for a zip lining adventure we choose to zoom around the south west coast on a 1-hour Sea Kart tour. As we speed our way through tropical waters we were lucky enough to catch a glimpse of dolphins in the distance. The warm, turquoise waters provide excellent conditions for water sports ranging from sailing, water skiing, windsurfing, stand-up paddle boarding, kayaking and kite surfing. Exceptional PADI dive centres offering comprehensive diving programmes and expert advice. 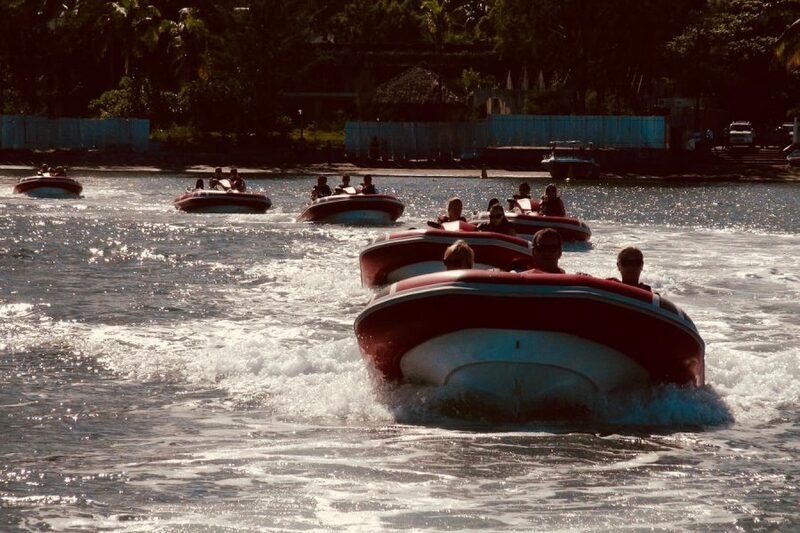 Mauritius is full of diverse and spectacular landscapes and is ideal for island exploration whilst offering a great opportunity for some team bonding. On our trip we were put into teams, given a car and a map and encouraged to set out on an exploration of the island. It certainly made for a fun group bonding exercise as road signs aren’t always obvious on the island and it helped us to discover some amazing sights located off the beaten track. We soon discovered the most famous natural sights including the dormant Trou Aux Cerfs volcano which offers 360-degree panoramic views of Curepipe and the coastal plains. We delved deep into the tea production process in Bois Cheri to enjoy a tasting session of black, coconut, exotic fruits, earl grey, vanilla and green tea before admiring the sacred Grand Bassin lake. We also enjoyed up close wildlife encounters with baby crocs and giant tortoises at La Vanille Nature Reserve. Being away whisked by speedboat, out beyond the reef, for a sunset catamaran cruise was an ideal way for people to come together. It certainly had the wow factor and allowed for shared experiences and lasting memories. 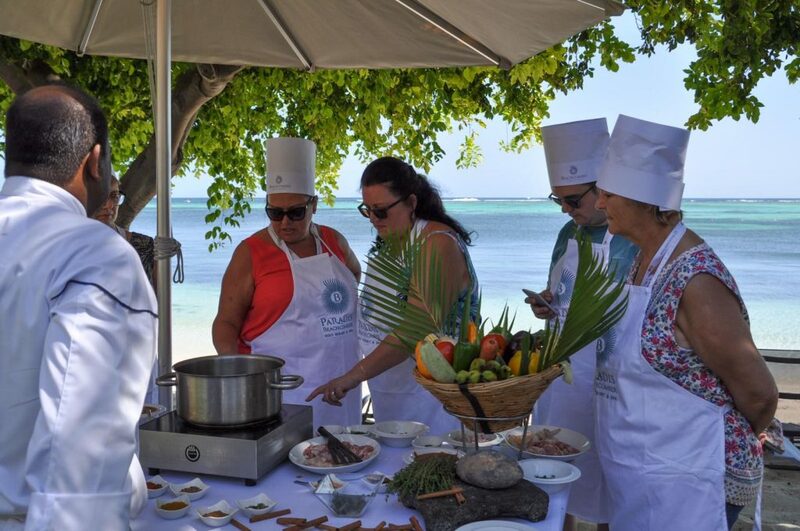 For those that were not so keen on adrenaline activities our trip also provided the perfect opportunity to sample true island life and to experiment with exotic ingredients, spices and flavours in interactive cooking classes. A visit to the Rhumerie de Chamarel situated in the vicinity of the Coloured Earths allowed for the tasting of some of the finest rums around. A bit of fun friendly competition helped to get everyone talking and at the evening beach party we competed to create the best cocktail professionally judged, with much amusement, by the hotel bar staff. 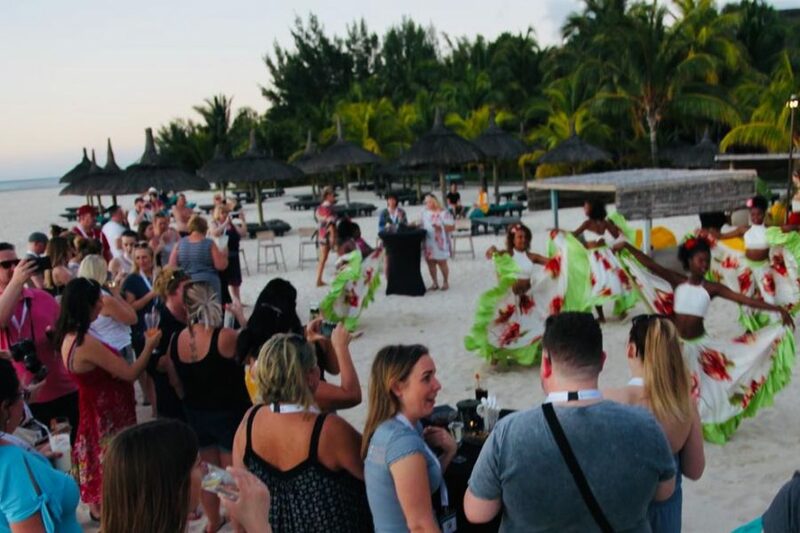 The gala dinner and beach BBQ were a wonderful way to enable everyone to reconvene for nightly awards and to share their experiences of the day. 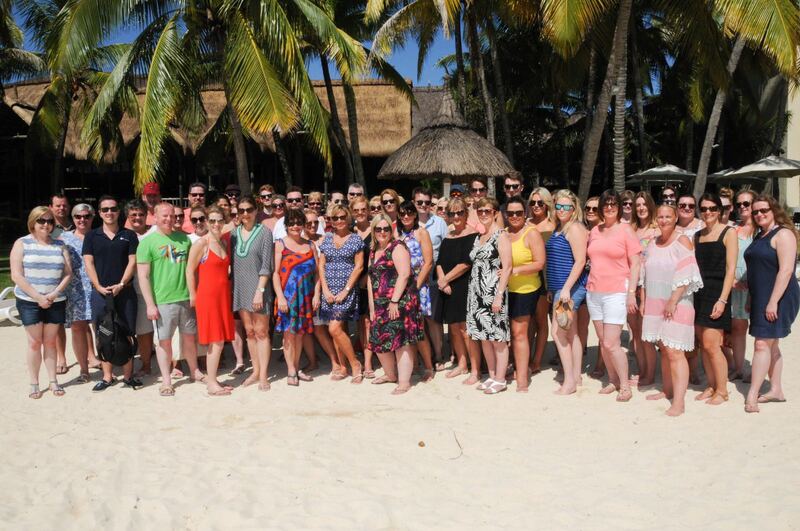 Helen and Debs travelled to Mauritius in May.